A Lincoln-based landlord has been fined following the discovery that his rental property had serious safety failings, including dangerous electrics as well as a serious damp issue, no heating and a leaking roof. Joe Burgess, of Newark Road, Lincoln, was found to have failed to meet housing regulations for his rental house located in Newtoft, just north of the city centre. Despite the property being in a poor state of repair, with issues that could impact the health and safety of a tenant, Mr Burgess made it available to tenants. As well as the litany of problems including an excessive damp issue, the house also had no means of fire detection, meaning it posed a major risk to anyone living in the property. It's important to make sure you have the right type of landlord insurance to cover you and your property for any eventuality. West Lindsey District Council had served numerous notices upon Mr Burgess asking him to resolve the issues at the property and, when he failed to comply, the council was forced to cover the costs of ensuring the property was safe for a tenant to live in. The council prosecuted the landlord at Lincoln Magistrates’ Court on 29 October this year, despite him not appearing in court. Mr Burgess was found guilty of the charges laid against him and was fined £440, alongside legal costs of £400, £376 worth of investigation costs and a victim surcharge of £44. Chairman of the council’s Prosperous Communities Committee, Councillor Sheila Bibb, said: “This is the second successful prosecution we have undertaken this year and demonstrates the council’s commitment to tackling criminal and rogue landlords. 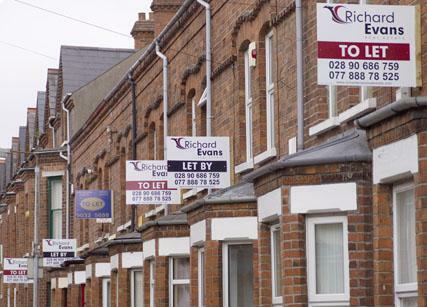 “We hope this case sends a clear message to landlords that we will use all of the powers available to us if they do not comply with our requests when we serve formal notices. Nobody should have to live in unsafe accommodation in the district. In this day and age there is no excuse for landlords who choose to ignore the law and we intend to continue to pursue them wherever their properties may be in our district," added Ms Bibb.